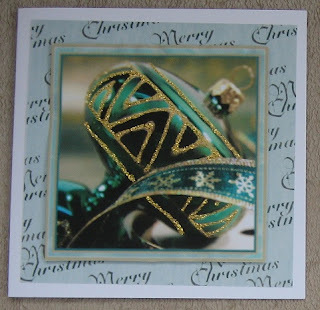 The CHNC Challenge this month is to make a card without a sentiment. I have been making a few smaller Christmas cards lately, to cut the costs of posting. Because the cards are smaller there is no space to put a sentiment on the front, so I have got round it by using Christmas backing paper. Here is one, the image is from MCS.